SAJJ Mediterranean has debuted three new Lifestyle Bowls designed to fit the dietary preferences of guests. They include the Keto Salad Bowl, Paleo Salad Bowl, and Double Protein Bowl, all of which are made with SAJJ ingredients that guests know and love, but pre-designed to make ordering simple and efficient. 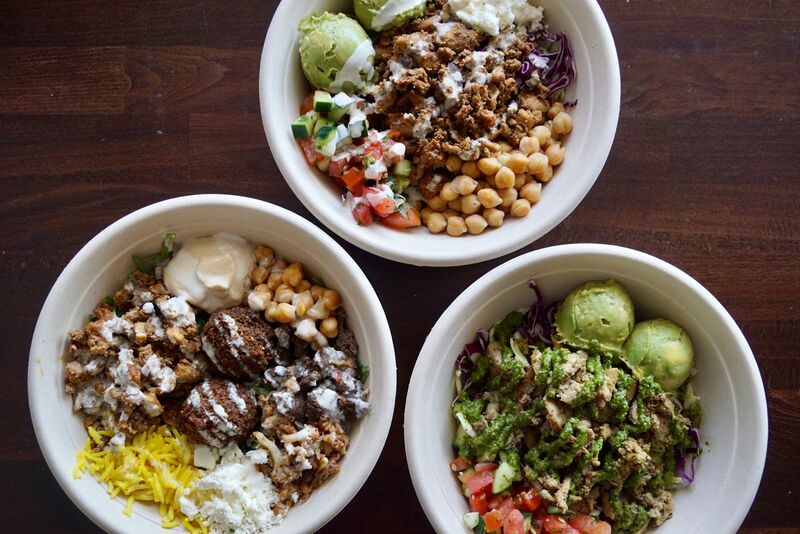 San Francisco, CA (RestaurantNews.com) SAJJ Mediterranean, the popular California-based fast casual known for its customizable and healthy offerings, is introducing pre-designed Lifestyle Bowls that are catered to fit the dietary preferences of their guests. The new bowls will include a Paleo Salad Bowl, Keto Salad Bowl, and Double Protein Bowl, all made with the fresh, Mediterranean ingredients that SAJJ customers know and love, but designed in a way to make ordering simple and seamless for each guest. The Lifestyle Bowls are available at all 9 locations, as well as through SAJJ’s online ordering portal and third-party delivery partners. SAJJ is best known for their fully customizable menu filled with authentic Mediterranean offerings, like award-winning falafel, chicken and steak shawarma, traditional hummus, and a variety of chutneys, toppings, and sauces. Each guest is invited to choose their entree format – sajj wrap, pita sandwich, turmeric or freekeh bowl, salad – and customize it to their liking and dietary preferences. The new Lifestyle Bowls are designed to make healthy eating simpler for each guest by pre-selecting the keto and paleo options in an easy-to-order bowl. In an effort to keep up with customer demands and food trends, SAJJ also offers innovative items like the plant-based Impossible Kabob and Chocolate Hummus along with their more traditional Mediterranean dishes. Ingredients for all of SAJJ’s menu items are locally-sourced from small farms whenever possible, creating feel-good food that is always fresh. SAJJ Mediterranean’s family of restaurants and food trucks is focused on serving food that is personal, satisfying, and transporting. Built on the mission to create flavorful food that provides an escape from the everyday, SAJJ’s Middle Eastern menu offers bold entrees made with fresh, locally-sourced ingredients and is highly customizable to fit the preferences of each guest. SAJJ Mediterranean currently operates two food trucks and nine brick-and-mortar locations in San Francisco (SoMa and FiDi), San Jose, Menlo Park, Mountain View, Sunnyvale, San Mateo, Rancho Santa Margarita, and Irvine, with additional stores slated to open in San Jose and San Ramon by the end of 2019. For more information, visit www.sajjstreeteats.com.